My musings have paused for a moment tonight, so that I can share my simple but hopeful feelings within a moment where I truly choose to pursue my future. Faith is knowing that what we need will find us. Fear is what embodies our hearts when faith runs out. Prayer holds hands with hope. Solace is found in prayer. Peace opens our eyes to the world around us. Each moment is a final chance to encompass the emotion we choose to live by. Happiness is in our hands. I recently discovered that Hungary is more than just a country east of Germany; it is part of my heritage. I mean this in the least offensive way possible, but the country was always a joke to me. Not because of the country itself, just its name. Ever since I discovered the country of Hungary in my elementary school history lessons, one of my favorite things to tell my parents was, “I’m Hungarian” when I wanted food. Ok, so I still say it. Though I have strong ties to my primarily Irish roots, I was also raised with undertones of German ancestry. My Great-Grandma emigrated from a Germany port in her mother’s womb. With her, she brought what we thought to be traditional German customs and recipes. Guess what? They weren’t German. After spending years trying to track down her family in German records, I recently joined forces with a distant cousin who had documents to prove that my stomach is not just Hungarian; the rest of me is too. At least the part that I thought was German is. Because the borders were altered by a bloody game of tug of war, I find the genealogy hunt increasing in intrigue and possibilities. 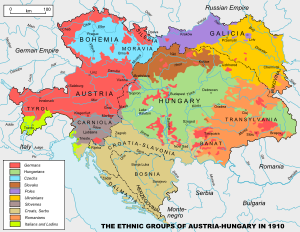 Their region, which may have once been German territory, had also been Austria-Hungary, Yugoslavia and now Slovakia. Never did I imagine that the strong stock came from Eastern European hardships as opposed to Hamburg bratwursts. I realize these clichés are not realistic and likely inappropriate, but they simply provide an altering mental image of what I had imagined as a little girl and what is now more realistic. I’ll never be able to ask those ancestors what life was actually like. I’ll never get to ask if they yearned for their homeland and its customs. Instead, I know that they came to America for safety amongst the turmoil in pre-World War I Europe. They learned English and adapted to American ways, but privately maintained the nuances of their heritage. They were bakers, potters and laborers. We still are, even if laboring is the only one that pays the bills these days. I never guessed that my little joke that got a giggle out of my Mom, had truth in it. I missed posting yesterday, but for good reason. 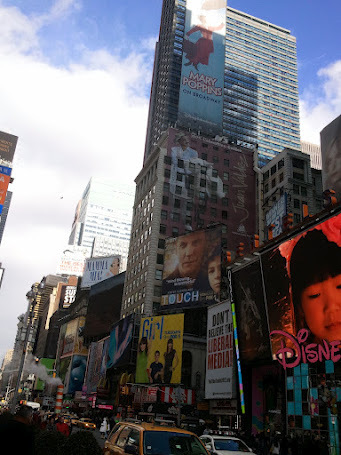 I was lucky enough to join my Aunt to New York to see a Broadway show. She had won tickets to Mamma Mia. 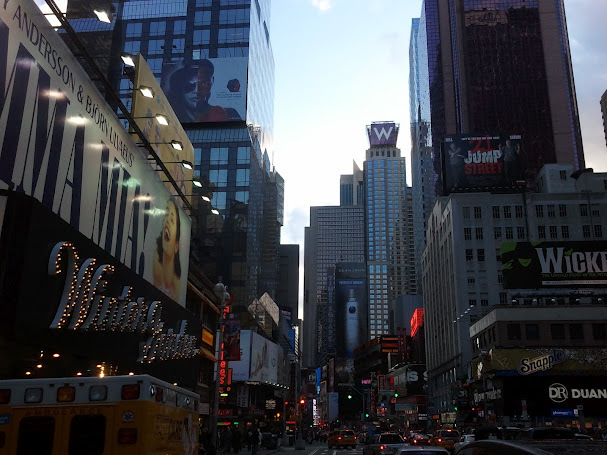 I am a huge fan of New York City, but of Abba? Not so much. I do love many forms of art and stage, so I did not turn down the opportunity and in the end, I was really pleasantly surprised. My musical taste skips the Abba and spandex generation altogether, but since I’m not technically a musician, I feel I have no place to judge the taste of others. These people wrote the music that millions know and love today. You should have seen the crowd at the end. People of all ages compelled to jump out of their seats and frantically wave their hands and sing along. I could’ve gone that far if I had a couple drinks from the bar first, but I did clap in attempt to maintain rhythm. Speaking of which, it’s been some time since I’d been to a Broadway show and I was unaware that there were rolling bar carts next to the candy guy and the program sellers. Maybe it’s one of the details you don’t notice at a younger age. I suppose it’s a very good thing that I wasn’t scouting out the pinot grigio before Beauty and the Beast during my school field trip to the theater. Regardless, I had anticipated a dated show and instead the updated one-liners and costumes gave the show a more current ambiance. New York was chilly, and the fresh chill and flurries were a good reminder that even though the Northeast has had a spring-like winter, spring is not yet upon us. There’s still plenty of time to pull out the gloves and my nemesis, the ice scraper. Still the train ride up was easy and the company enjoyable. This paragraph is making me feel like I’m writing a J. Peterman catalog narrative from Seinfeld. Wool peacock blue coat, large retro matching buttons, dark jeans and boots that both emulate New York style and provide walking comfort. I hope someone gets why I just wrote that. When I first saw the topic for this week, my thoughts immediately fell upon Oscar. I know pugs are typically known to be greedy, but after eight years, it still shocks me how he lives for anything in excess; food, toys, sleep, towering heights, attention. Nothing is small with Oscar, from his bulgy eyes to his puffy belly after begging from naive visitors. I say this with love. And here is Oscar, the indulgent pug of my life. No, this bone is definately proportional. If he could fit the whole thing in his mouth, he would. Caught. Thief of feather blankets, soft pillows and anything cuddly for HUMAN use!. Oscar Simpson. He looks like a Simpsons character in this picture. If he could eat the donuts and beer that Homer does, he wouldn’t look so depressed. I’m so tired, I only got 22 hours of sleep today. This week has been anything but exciting. My highlight (so far) came from the fact that I perused our little town newspaper and found an ad that all county residents can drop off all personal documents they need shredded, during a free recycling event Saturday. This is very exciting. Do you know what this means? It means that I can avoid sitting in front of my cheap, hand-me-down shredder for a few hours, while I destroy receipts, bills and credit card applications, to the sound of a whiney and overworked motor. It means no paper cuts. It means no more piles of “I’ll get to that”. It means silence – less frustration – and no overheating small appliances. I try to be organized, but my ambitions and lack of time only take me so far. I have a file box with hanging folders that are appropriately labeled and organized. 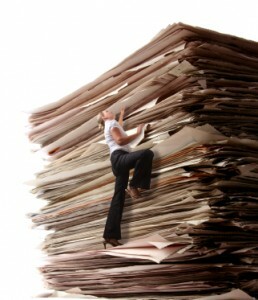 Instead, I usually end up with a three inch pile of paperwork that is crammed between the tops of the folders and the lid. Eventually the lid doesn’t close; I drag the box somewhere and it spews all over. Not today. I spent the last couple hours weeding through the least eighteen months of paper we “might need to reference one day” and I’m so ready for Saturday. You can say I’m lame and ask why I’m actually wasting even more time on this by writing about it, but it’s truly exciting to me. Just a couple months ago, I dreamed of having myself an office and a workable and clean workspace. I’m so close. My walls still need to be painted and my books are in Rubbermaid tubs for the moment, but my desk is perfect, as I’m not pushed up against a wall and I’m not seeing scattered piles of paper to distract me from the calm demeanor this room is supposed to enable. I feel at peace with paper. Sometimes I wish I were heartless. My house would be so much less cluttered and my basement would be empty to build our dream pub. For another day, I’m feeling too accomplished to put that kind of weight on my shoulders tonight. 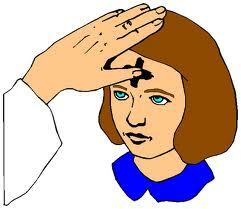 Today is Ash Wednesday, so I feel guilty. No, I feel guilty because I’m Catholic. Well, yes, but technically, I feel guilty because I’m Catholic, it’s Ash Wednesday and the last time I went to Church was…yeah, I’m not sure. Can this count as confession? Well, because I haven’t done that in a few years either. I actually consider myself a religious person because I do pray outside of traditional places of worship. I do have faith. I also have a Bible in my nightstand drawer. I know what you’re thinking; so do cheap motels. This is true; I forgot to tell you I live in one of those too. I’m kidding, but now I feel guilty for lying to you too. Will this day never end?! I do pray though and I’m also attempting to refrain from adding the “God” part to the beginning of “Damn it!”. I feel like the phrase hurls itself from my lips each time I try to attempt moving anything with my hands, as my klutzy nature presents itself quite often. In regards to faith though, I think I have spirituality, but I also don’t live by a lot of the Church rules. I’m not sure if that is supposed to negate my Catholicism but I don’t mean anything personal to God or the Catholic religion as a whole. I’d like to think that since forgiveness is a key element in religion, the Pope would give me 10 Hail Mary’s for my lack of physical attendance to Church and not send me H-E-double hockey sticks. We live in a predominantly Catholic region and there are several Churches in our area. I googled them and picked one to get my Ashes this evening. I grew up fairly close, but I don’t have a connection to the Churches I’ve attended as a child, as many things have changed over time. But as a typical Catholic, I picked one with a full mass so it counts as my “dues” for the week too. Although I’m a bit rebellious and I don’t like being told what to do, I went because I felt like I wanted to tonight. I also felt refreshed that the Priest did not give a spiel about how the congregation was full of people who only partake in religion on Holy Days. Instead, he spoke about the meaning of Lent and admitted some personal faults of his own, and how he has decided to take Lent as an opportunity to better himself and treat others as a Christian should. He spoke as one of the people, relatable. Even better, I also got to finally workout tonight; lunge (aka genuflect), sit, stand, kneel, stand, shake, kneel, take a lap, kneel, stand, etc. In all honestly though, I would be interested in incorporating religious activity into my life, even if it isn’t based on my Catholic background, but just as long as there is some sort of genuine connection felt. Whether I actually attended the mass or not, I am glad that I took a moment to reflect on the start of Lent and I’m taking good things from this moving forward. I won’t attempt to promise I’ll attend regularly, because I don’t know that I will, even if my intentions are good; but I will continue to be the best person I can be and that’s definitely something I won’t feel guilty about. Dance like Nobody’s Watching, Even Though They Are? Even models trip. And then an entire article about it gets posted on dailymail.co.uk. Whether you're cool or not, no one is safe. Although I didn’t record this epic conversation to quote it perfectly, that is what he said. He told me about when he was younger and how he thought that everyone had something to say about what he said or did; even strangers. He was right, I did go through that phase, but so was everyone else. In high school, if I tripped on my own chucks, did I not feel the need to recover and look back at the floor like it assaulted me? I even see adults do that today. Who gave that floor the right to trip me? It must be a defense mechanism, in which we place blame on some inanimate object so we don’t look like a fool. So silly. So what if we trip up, who hasn’t? And will worrying about what people think of my slip-up make my life any better in the process? Certainly not. I’d like to think those sort of things don’t matter as much to me anymore. But there is a flaw in my Dad’s grand plan of growing up. Yes, I did eventually realize that my mundane life is not tabloid fodder but he also did not anticipate the age of the internet, cell phones and YouTube. Just when you think it is safe to screw up, we find a world around us that is quick to document it for the world to see, in the form of pictures and video, whether you’re famous or not. Stupid mistakes can end up on your boss’s Facebook page before Monday morning’s meeting and Grandma will never respect you again. Luckily I’m just still tripping on my feet and nothing too embarrassing is going on over here, but boy am I glad I got my bearings before I realized what the future would hold. In remembrance of past and important Presidents in our US history, I had a beer. Ok, I had a couple beers, but I didn’t celebrate with John’s cousin Sam Adams. The Poor Richard’s obviously represents traditional ale by Benjamin Franklin, who was not a President, but a Founding Father none the less. This is my personal favorite. There is no doubt that his mind led to the formation of not only the United States, and thus American Presidents but also many of the institutions that still hold functional and historic places in our lives today. In addition to keeping the recipes traditional, Yards even finds their location to be relatively close to actual historic precedence: Our new brewery is located just blocks away from the site of Robert Hare’s brewery, where Washington’s favorite Philadelphia Porter was crafted. These are not your standard and typical beer selections. Beer connoisseurs will appreciate not only the original recipes and unique ingredients that are traditional to the late 1700’s, but the flavors that rival consistent micro-brews. You’ll also find flavors that you would never find in the watered-down light beers, but this is true with all of Yard’s selections. If you’re in the Tri-State area and have a chance to either stop by City Tavern for a sampler or find the variety pack option at one of the local liquor shops, I highly suggest liberating yourself. I quote the words of the lead Red Hot Chili Pepper himself, Anthony Kiedis in the song “Can’t Stop”, and I use them because this blogging experience has started to affect my life in a way I didn’t expect. I can’t wait to meet more bloggers that cross my path and there’s really no stopping now. There are people who write to write and people who write and get inspired by other writers in the process. 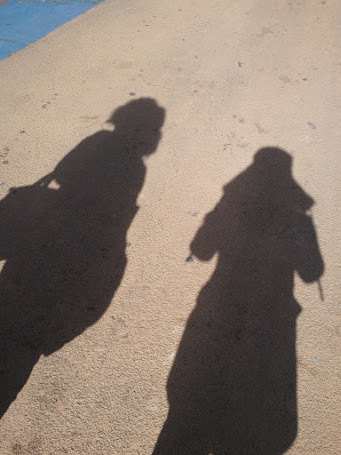 At first, I must admit that I feared I was the first, trying to just write, make my postaday goal and maybe finding people who could relate to what I had to say. That last part didn’t really seem crucial. In the process, I’ve found people that I relate to, and more importantly, people who are encouraging and whom I’m learning from. I’ve learned to let go of “stuff”, and that it’s memories will still exist even if I clear items physically from my life with 365trinkets. I’ve learned to never give up and keep learning with The World’s Latest Bloomer, inspiring me to pick up the guitar in addition to other ideas and joys that I’ve left behind. There are countless photographers that share beautiful visions, ready for us to view as we wake up each morning. And then there’s a very dear friend of mine, who takes the time to read my blog out of support and has suggested giving Tai Chi a shot, after he read about my woes with yoga. Throughout this writing process, which has been consistent for only 1.75 months, I’ve learned that strangers can be supportive and wonderful, without even realizing how they affect other people. It’s easy to let myself down, but it’s ten times more difficult when there are people who are encouraging me to move forward and get what I want out life. This may be the cheesiest blog, but it’s true none the less. I can’t wait to continue discovering the people who are making a difference in their own lives, and to learn from them. In the process, I hope that I can be someone to encourage others somewhere along the way. When all is said and done, just keep blogging. I was kind of excited when I saw the theme for this week’s “Phooootoooo Challllllenggggge”. I apologize, the excitement got away from me and I envisioned Ben Bailey from Cash Cab announcing the WordPress weekly challenge. This is my first time joining this cult, I mean group. Moving on. I just happened to have taken a photography class in the Fall at the Philadelphia Photo Arts Center. As we walked around to shoot, our cameras that is, I tended to shoot so much of the ground. I’m actually kind of surprised I wasn’t mugged because I upon review of my photos, I didn’t spend very much time coming up for air and checking my surroundings. This of course began with my feet, which like Sara Russo and many other bloggers I’m guessing, marks the location and the fashion of choice. So here we have it, Down in Philadelphia. Enjoy.